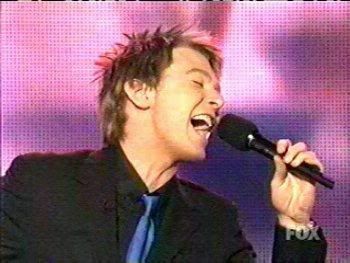 It’s always fun thinking back to Season 2 of American Idol. We were introduced to a great group of young, talented singers. 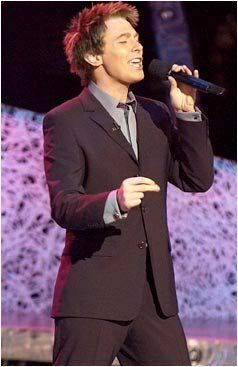 Of course, Clay Aiken was on top of the list for me!! Do you remember when Clay sang To Love Somebody? I loved hearing Clay sing Build Me Up Buttercup! Enjoy re-visiting the beginning of this wonderful journey! Enjoy your Sunday and watch the videos. You will feel amazingly good! That was quite a year. I remember all the excitement about Clay during and after American Idol. I miss that a little. Thanks for the memories. Good memories of Clay from so long ago. Each week of AI-2 he got more comfortable on stage and the guest judges all gave him the good reviews he deserved. I had a whole new life open for me that cold winter – it still continues! Thank you so much for the memories! You and Clay videos always make me feel better! Thank you. I remember those days. Error: Error validating access token: Session has expired on Tuesday, 21-Aug-18 16:13:01 PDT. The current time is Wednesday, 24-Apr-19 21:22:32 PDT.